PILOTO TRASERO IZQUIERDO TOYOTA TOYOTA IQ 2 03.10 - 12.10 año 2010 1NR JTNMH110X0J Código interno:2857619. Delfin card. Nós podemos verificar isso. Wir können es überprüfen. Reflektor / Rückstrahler re=li TYC. REFLEKTOR / RÜCKSTRAHLER. (Für beide Seiten passend). Toyota IQ 09-. mit entsprechenden E-Prüfzeichen. Erstausrüster Qualität. passend für. FARO ANTINIEBLA IZQUIERDO TOYOTA TOYOTA IQ 2 03.10 - 12.10 año 2010 1NR 812200D042 1000002739570 JTNMH110X0J Código interno:2739570. Delfin card. Nós podemos verificar isso. Wir können es überprüfen. FARO ANTINIEBLA DERECHO TOYOTA TOYOTA IQ 2 03.10 - 12.10 año 2010 1NR 812100D042 JTNMH110X0J Código interno:2927946. Delfin card. Nós podemos verificar isso. Wir können es überprüfen. TOYOTA YARIS IQ URBAN CRUISER < abarcan clase = notranslate ' > D 1,4 < abarcan clase = notranslate ' > bomba de vacío freno D4D Diesel D4-D 04004-2830W (EZ258). CÓDIGO ORIGINAL DE TOYOTA 04004-2830W. IQ (AJ1), 10.08-. PRIUS (XW30), 05.09-11.11. Model CAMRY (XV40), 09.06-09.11. Make TOYOTA. Part Kind Side flashers (also in mirrors) and associated parts. Side (left/right) left. Location (front/rear) Front. TOYOTA IQ Piloto ti. Pieza Piloto ti. Año: 08 09 10 11 12 13 14 15 16.  Pieza equivocada.  Pieza defectuosa. Ninguna devolución será aceptada sin previa autorización, excepto Combustible Gasolina sin plomo. 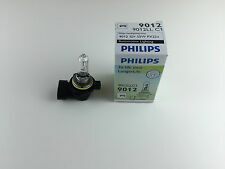 Item:9012 HIR2 12V 55W Clear Halogen Bulb. Vehicle:Toyota IQ 2008 - on. Product Type:Halogen. They are easily used to replace existing bulbs and require no modifications to fit. Upon receiving your notification, we will review the case and endeavour to close this to a satisfactory solution as soon as possible. 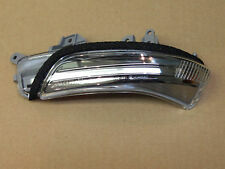 You are GENUINE TOYOTA IQ LEFT HEADLIGHT N/S PASSANGER FOR RIGHT HAND DRIVE CAR. No broken lugs, in full working order. Year: 01/2009-08/2015. Product: Front Fog Light Lamp. Position on Vehicle: Pair Left & Right. Vehicle: Toyota. You can use us for headlights, rear lights, door mirrors, mirror glass and covers as well as a constantly developing range of performance lighting. Para Toyota IQ 2009-2016 bajo cruce viga H4 Xenon faros focos PAR lámpara. Estaremos encantados de encontrar las piezas correctas para usted. Esta venta es para estrenarbombillas de los faros de xenón. KIT FULL LED HIR2 TOYOTA IQ LAMPADE LED 6000K NO ERROR ANABBAGLIANTE / ABBAGLIANTE. - Tipo connettore: HIR2. Rilasciamo regolare ricevuta fiscale e su richiesta è possibile avere la fattura. VETTURA: TOYOTA IQ DAL 01 2009 IN POI. POSIZIONE: SINISTRO. Toyota IQ 2009-2016 alta viga principal H4 Xenon bombillas par lámpara. Estaremos encantados de encontrar las piezas correctas para usted. Esta venta es para estrenarbombillas de los faros de xenón. Tipo de bombilla de faros. VETTURA: TOYOTA IQ DAL 01 2009 IN POI. POSIZIONE: DESTRO. IQ (AJ1), 10.08-. PRIUS (XW30), 05.09-11.11. Model CAMRY (XV40), 09.06-09.11. Make TOYOTA. Part Kind Side flashers (also in mirrors) and associated parts. Side (left/right) right. Part group Lighting. Toyota iQ Reflector GJ1 01 / 09-, Luces de marcha atrás izquierda o derecha Nuevo. TOYOTA iQ GJ1. REFLECTOR izquierda / derecha. Toyota Auris. Año de construcción: 01 / 09-. Fahrzeugmarke Toyota. Modell Auris. Prodotto Fendinebbia. Luca 392 62 61 415. Tipo di attacco H16. Codice produttore 212-2052L-UQ 0012. Codice OEM 81220-0D040. Codice prodotto OEM-63200. Scheda Tecnica. MAKE / MODEL : TOYOTA IQ. MANUFACTURE DATES: 2009 to 2014. GOOD QUALITY FOG LAMP UNIT SUITABLE FOR PRODUCT TYPE / ATTRIBUTE: FRONT FOG LAMP. ORIENTATION : PASSENGER'S SIDE, N/S, NEARSIDE. MAKE / MODEL : TOYOTA IQ. MANUFACTURE DATES: 2009 to 2014. GOOD QUALITY FOG LAMP UNIT SUITABLE FOR . Year: 01/2009-08/2015. Product: Front Fog Light Lamp. Position on Vehicle: N/S Passenger Left. Vehicle: Toyota. You can use us for headlights, rear lights, door mirrors, mirror glass and covers as well as a constantly developing range of performance lighting. TOYOTA IQ L Taillight Mk1 08 09 10 11 12 13 14 15 16. Make / ModelTOYOTA IQ. IQ 2008 -2016 Mk1. Part also fits. 2 x OSRAM HIR2 Lampe. Made in Germany / E1. 1 Singolo Led Smd Cree XHP 70 da solo un lato,Specifica Per Auto Con Faro Lenticolare. 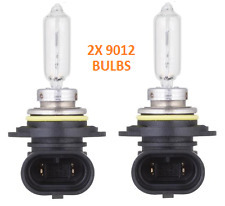 1 Coppia di Lampada Kit Full Led Headlight HIR2 9012 40W 12V 24V. Attacco HIR2 9012 SMONTABILE ,il foco della luce regolabile ,Facile da installare nel faro. Year: 01/2009-08/2015. Product: Front Fog Light Lamp. Vehicle: Toyota. Wiper Blades. Position on Vehicle: O/S Drivers Right. You can use us for headlights, rear lights, door mirrors, mirror glass and covers as well as a constantly developing range of performance lighting. All gearboxes must be filled with new oil, to the correct level upon installation. Wakefields Friendly Professional Vehicle Breakers. This part has be been removed from. UK Mainland - cost as listed.